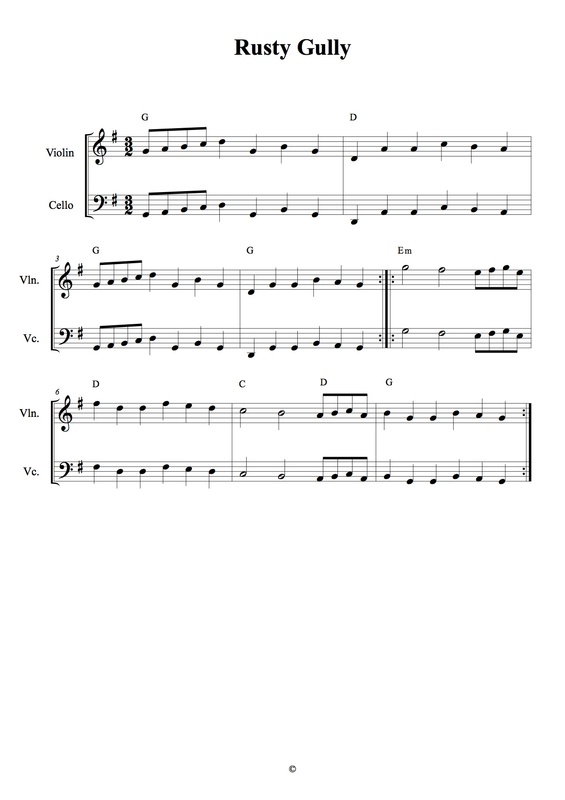 I have a soft spot for the 3:2 hornpipe Rusty Gully because it was one of the first tunes that I learned by heart – the finger pattern repeats itself in the B part on another string so it’s easy to learn on the fiddle… I hope you find it straightforward too. Click on Rusty Gully to produce a pdf for printing. 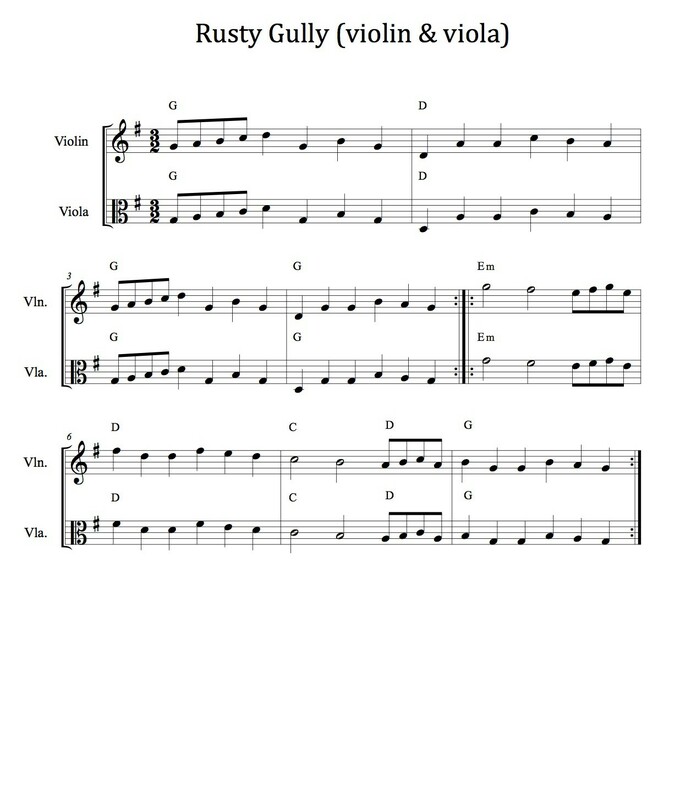 As this is a good tune to start learning tunes by heart, here’s a viola version too so that all clefs are covered.